Cheers! The holidays are here and you need a drink. 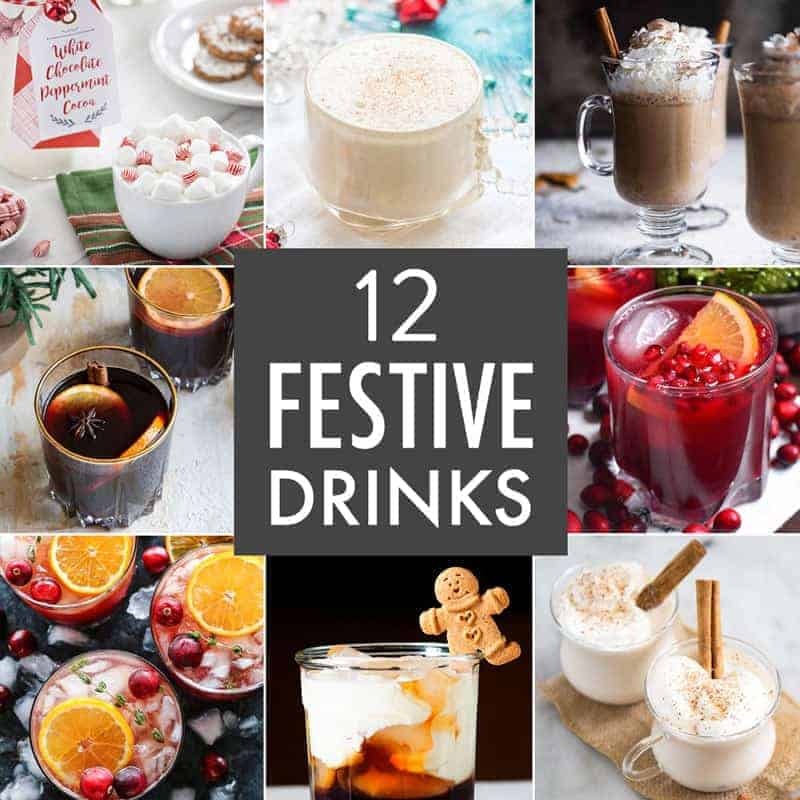 We have 12 Festive Drinks for all your party and entertaining needs. Whether you want hot chocolate or mulled wine, we have a recipe for you! In need of last-minute holiday food gifts? 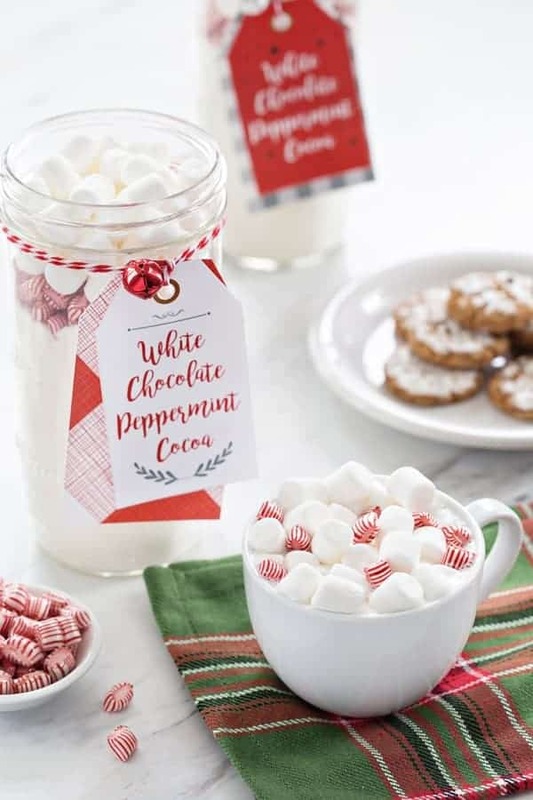 This White Chocolate Peppermint Cocoa post includes downloadable gift tags! 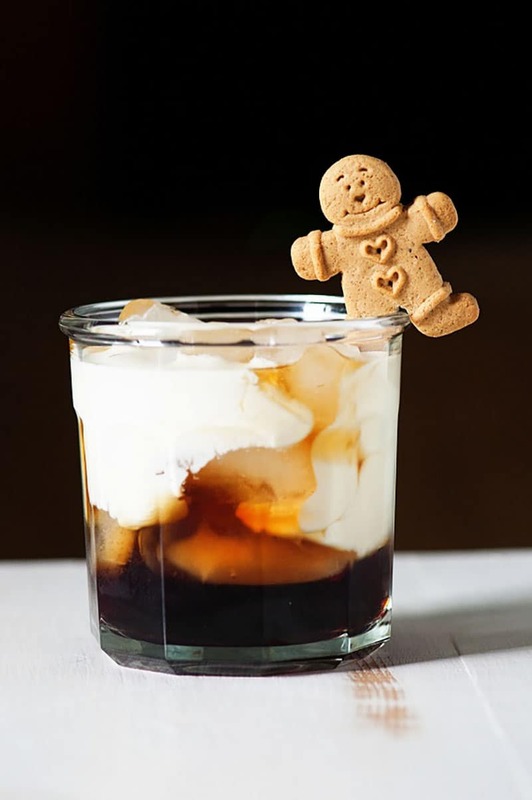 This Gingerbread White Russian puts a holiday twist on a classic cocktail. Serve it with a little gingerbread cookie garnish for the ultimate holiday flair! 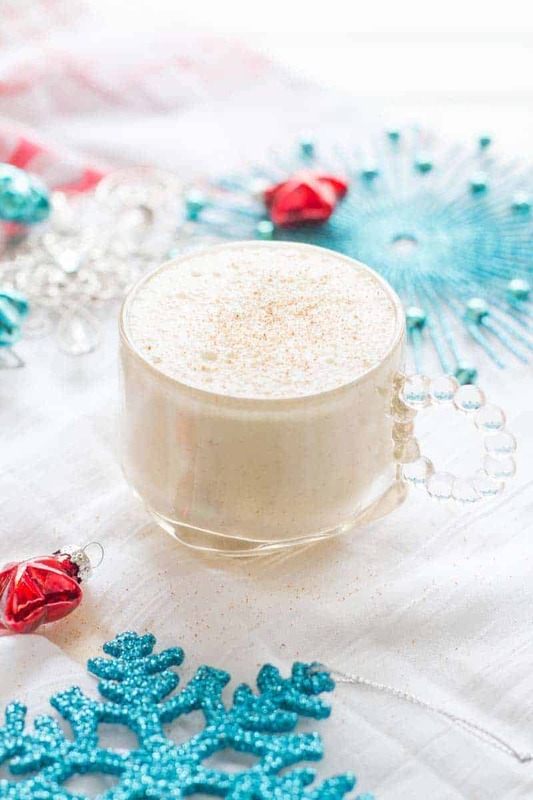 Here’s a dairy-free eggnog everyone can enjoy! This Coconut Milk Eggnog is made with rich and creamy coconut milk. 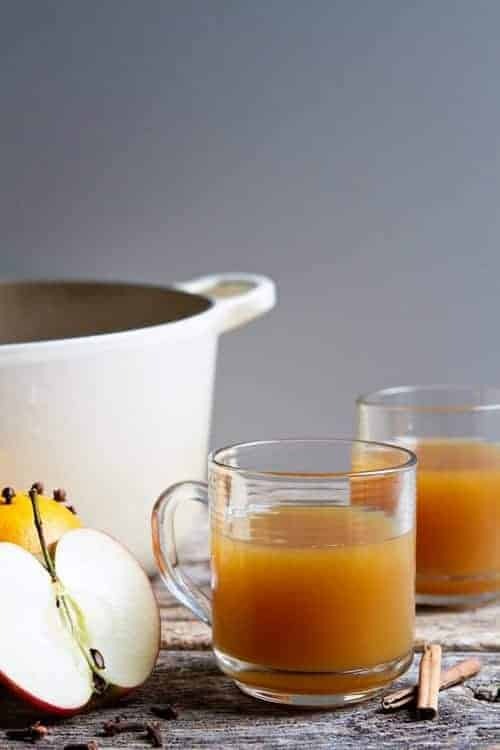 Made with apple cider and variety of warm spices, this Holiday Wassail is a party staple! You’ll want to make a large batch to keep your guests hydrated and satisfied. 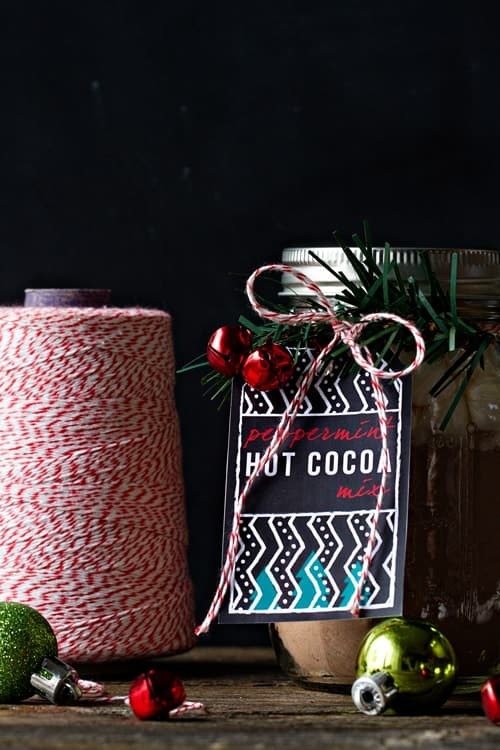 Stop buying pre-made hot cocoa mix when you can DIY! Top this Hot Cocoa Mix will all the marshmallows you desire. Then relax and enjoy the holiday festivities. 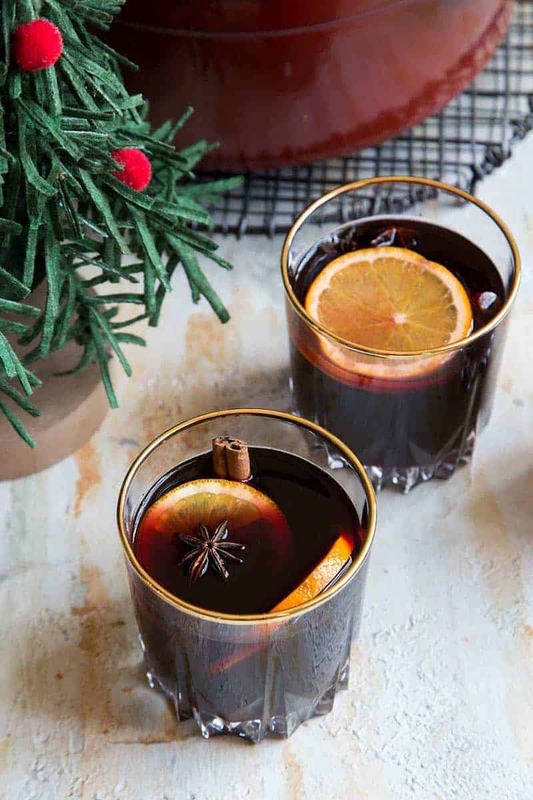 This Orange Vanilla Mulled Wine combines red wine with whiskey and orange-vanilla brandy. It’s spiced with cinnamon, star anise, cloves, and vanilla. It’s a great adult beverage that’ll have guests asking for seconds and thirds! Add a holiday twist to the traditional Pimm’s Cup. 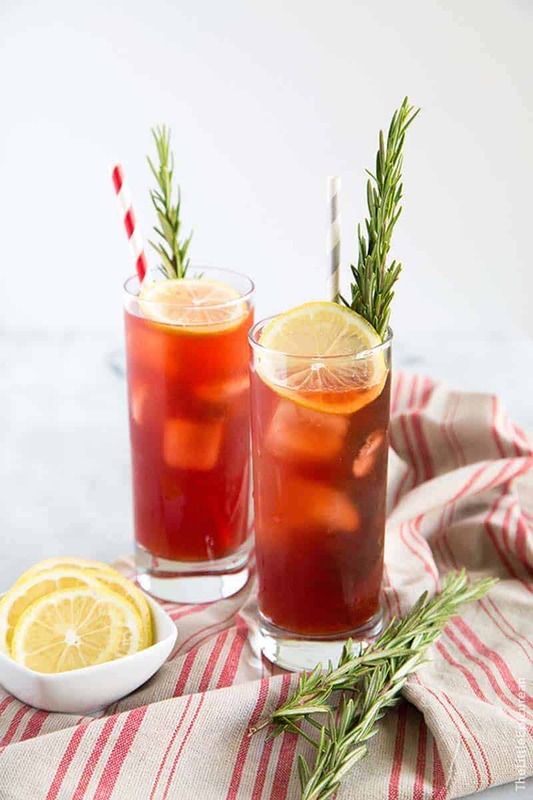 This Holiday Pimm’s Cup combines Pimm’s with lemonade, ginger beer, and cranberry juice. 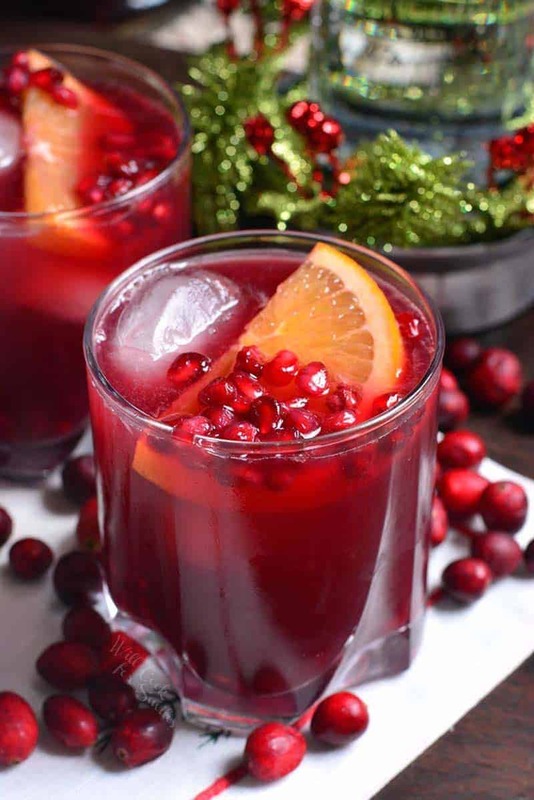 How beautiful and vibrant is this Christmas Punch? The recipe features a boozy version for the adults’ table and one for kids of all ages! This Ginger Snap Cookie Steamer is paleo and vegan friendly. It’s made with coconut milk and spiced with molasses, cinnamon, cloves, and ginger. 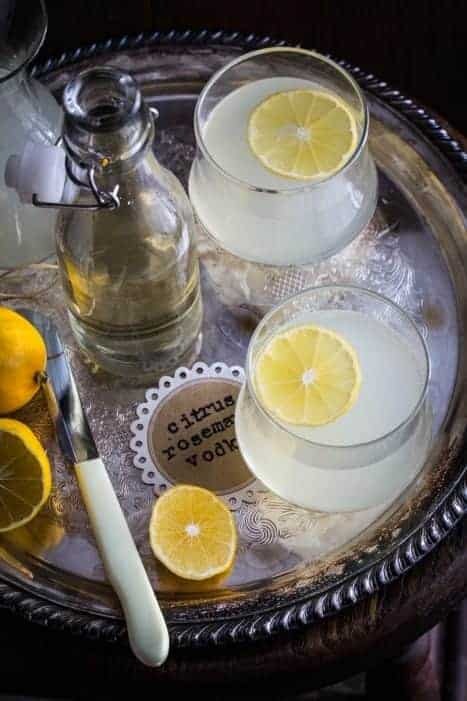 Perfect for both casual gatherings and elegant dinner parties, Citrus Rosemary Vodka Spritzers is a crowd pleaser. As we head into citrus season, you’ll want to serve this again and again. Bright, a little tart, a little sweet, and totally picture perfect. 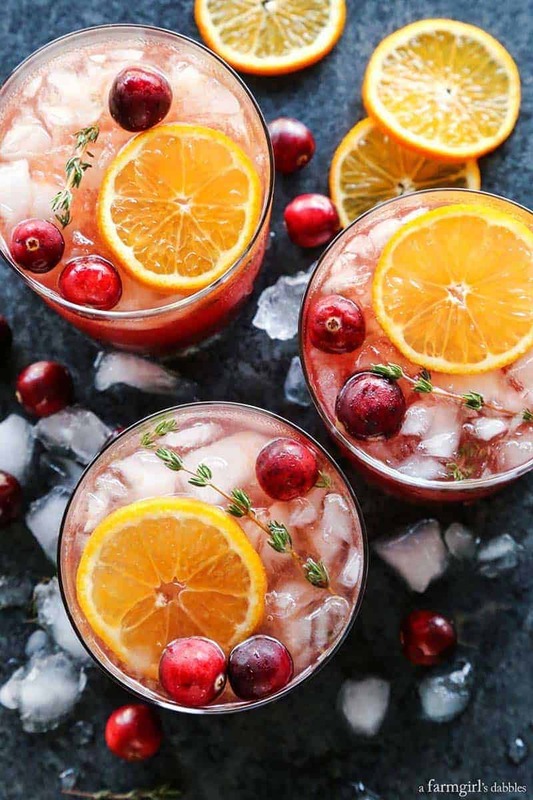 This Cranberry Thyme Gin and Tonic is your classic gin and tonic dressed up for the holidays! 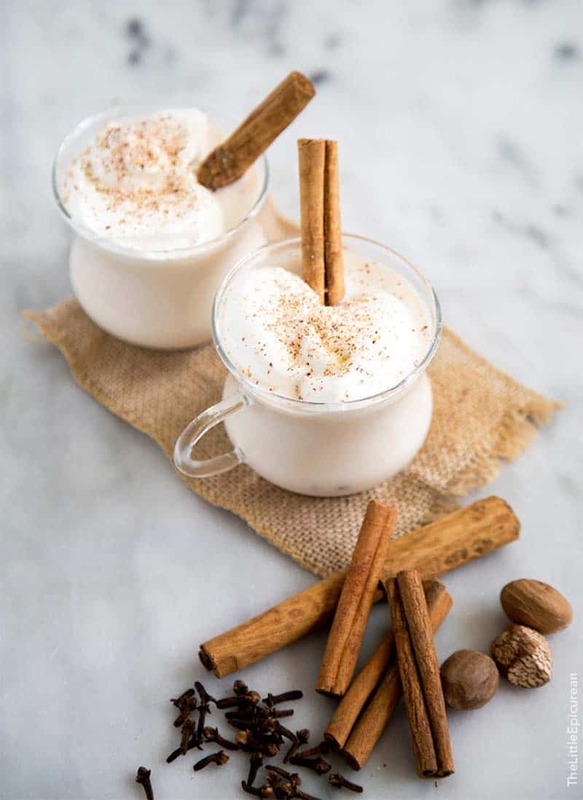 Milk Punch is spiced warm milk spiked with whiskey. 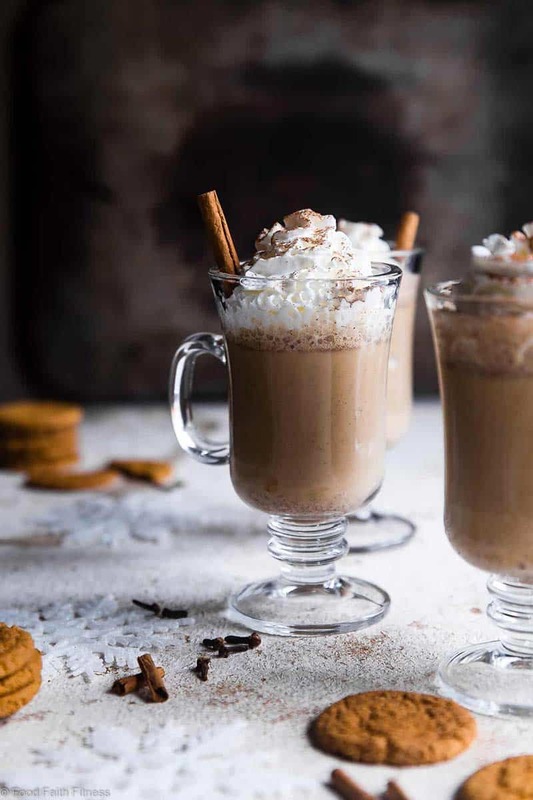 It’s a comfy and cozy beverage great for chilly winter nights! 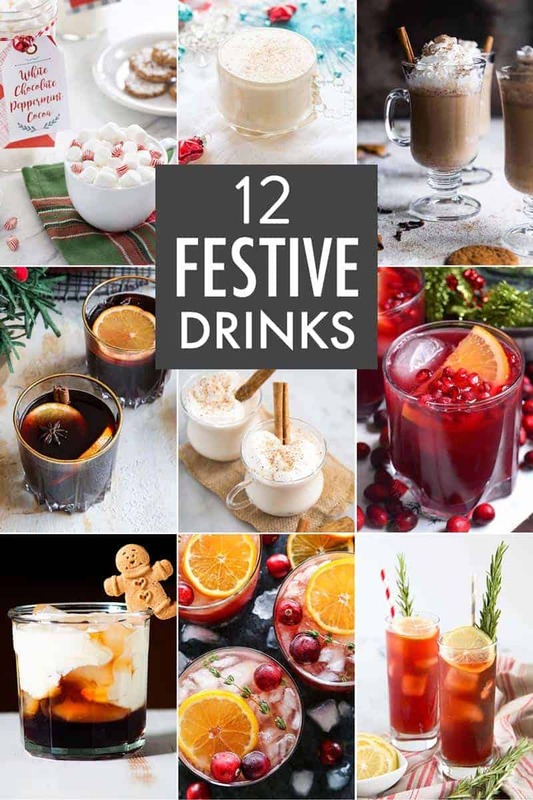 If you enjoyed these 12 Festive Drinks recipes, follow My Baking Addiction on Facebook, Instagram and Pinterest for more sweet treats and recipe ideas.